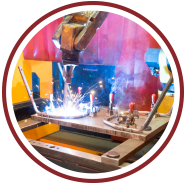 Tube bending firms are a dime a dozen; so what sets us apart? 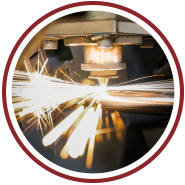 Pairing the bending operation with our laser tube cutters, rather than more traditional methods, reduces the production of featured parts from an average of six operations down to just two by eliminating extraneous saw, deburr, and punch operations. 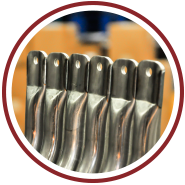 Our benders can handle virtually any shaped tube including round, oval, rectangle, and square. 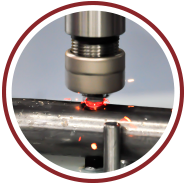 With the addition of our large-capacity, rotary-draw tube bender we can bend up to six inch round or four inch square tube to the customer’s exact specifications. The “big bender” can handle a maximum centerline radius of 18 inches. Most other bending plants can’t come close.